The RT42 coverall is a rugged rail spec garment built to withstand hard use. 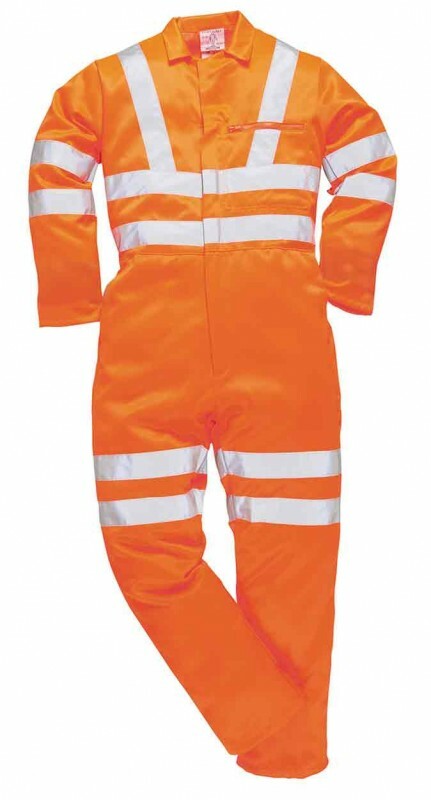 The industrial wash (60 deg c) Hi-VisTex tape to the arms legs chest and shoulders provide outstanding wearer visibility while the heavyweight fabric and rugged design ensures the coverall lasts longer. Elastic to waist provides a roomy fit. Concealed zip front. Fabric: 80% Polyester, 20% Cotton, 280g. EN ISO 20471 Class 3; GO/RT 3279. These suits are strong , durable and comfortable. The sizes are a good fit. Very pleased ..